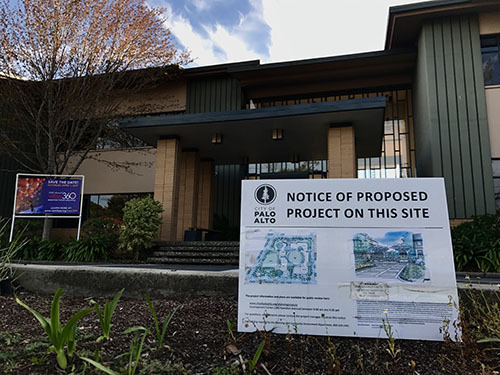 A wave of opposition is sweeping through Palo Alto against Castilleja School, Palo Alto’s private girls’ school, as they continue to push to expand their campus. The expansion claims to alleviate traffic by redirecting Castilleja traffic and parking to their new underground garage. Nonetheless, this has left a number of Palo Alto residents skeptical, given the school’s location between Bryant and Embarcadero, a congestion hotspot. Signs of protest like these can be found in front of multiple houses around Castilleja, demonstrating clear displeasure with the current plans of expansion. 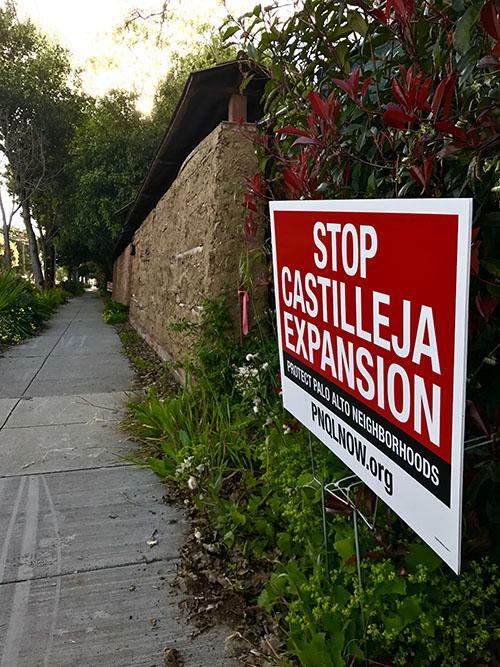 A public scoping meeting, conducted by the Palo Alto Planning and Transportation Commission, allowed public commentary on the Environmental Impact Report of Castilleja’s multi-year expansion project plan currently in the process of attaining the city’s approval. In addition, with the majority of Castilleja students coming from outside of Palo Alto, an estimated additional 30 percent increase of students and parents commuting in and out of neighboring residential areas paired with construction noise and traffic has left residents opposing the expansion. Castilleja’s first step in its expansion began in June 2016, when the school filed for a new Conditional Use Permit to the Palo Alto Planning and Transportation Commission. If the new CUP is approved for Castilleja, the school would be allowed to enroll an additional 25-27 students each year for a maximum student body of 540, which is 102 more than the school’s current population, Castilleja Head of School Nanci Kauffman told Palo Alto Online.